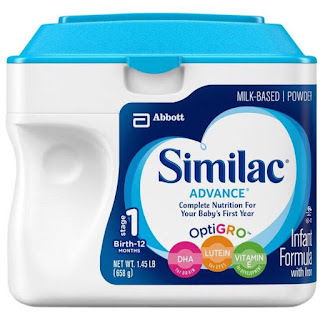 Disclosure: I received a complementary product in order to facilitate this post. No other compensation was received. Any and all opinions are honest and my own but may vary from yours. Did you know that only 1% of the beef in the United States is 100% grass fed beef? I certainly didn't! 100% grass fed beef farms lack the resources to advertise and distribute their beef. As a result, it's impossible for most people to get 100% grass fed beef. You can get 100% grass fed beef delivered right to your door each month. A new company "Butcher Box" is doing just that. 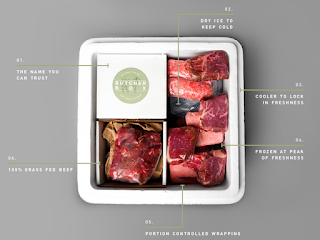 Butcher Box started on Kickstarter and raised over $200,000. The original goal was $25,000. Each box comes with a high curated selection of 100% grass fed beef cuts. 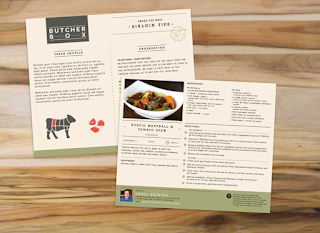 Examples include top sirloin cuts, short ribs, ground beef and sirloin tips. Each box contains 15-20 meals worth of beef. Each box is a surprise so you won't know exactly what you will get each month. I was able to get a sample box from Butcher Box for review purposes. I was very impressed at the presentation upon arrival. The beef was sent in a cooler with dry ice and the beef was still frozen solid. Each type of meat was sectioned within their own boxes and portion controlled. I received beef short ribs, top sirloin steaks, ground beef, bacon and beef sirloin tips. While I have not had a chance to try everything, everything that I have tried has been fabulous! 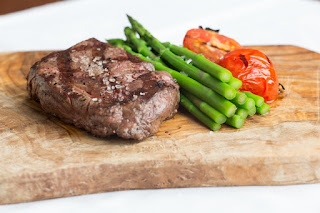 I have tried the top sirloin steaks and ground beef. The ground beef was extremely fresh tasting, had a deeper and richer flavor and was not super fatty or greasy. The top sirloin steaks were out of this world. They had a much richer flavor, much like the ground beef, and was easily cut with a fork. The steaks were not stringy or hard to chew at all. 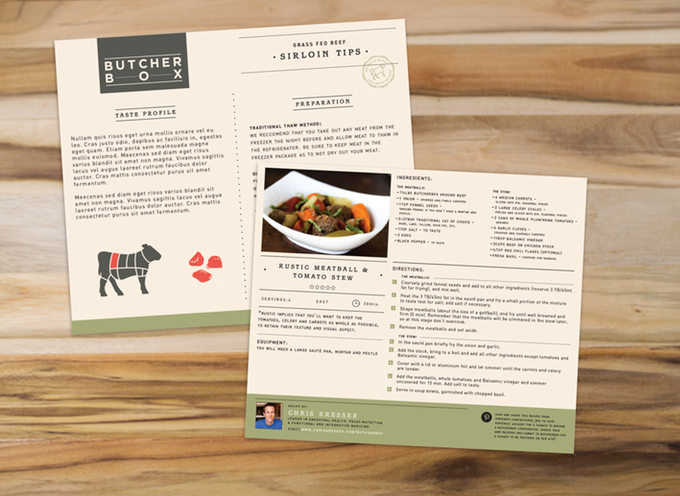 Butcher Box even includes some recipe cards so you can maybe try out something new with your beef! 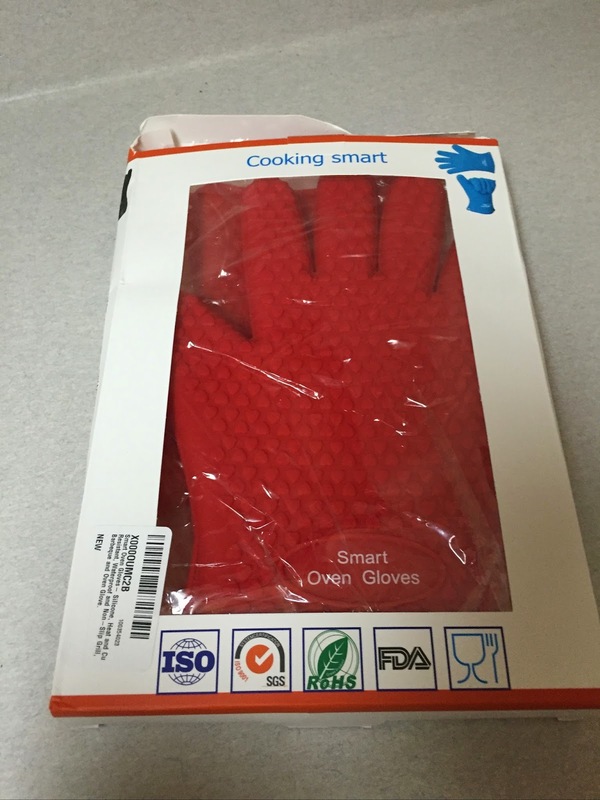 If you're looking for a great holiday gift for a foodie, chef or maybe that guy in your life who loves to grill, this would be perfect. Honestly though, it would be perfect for anyone who is a beef eater. The meat is truly top notch. 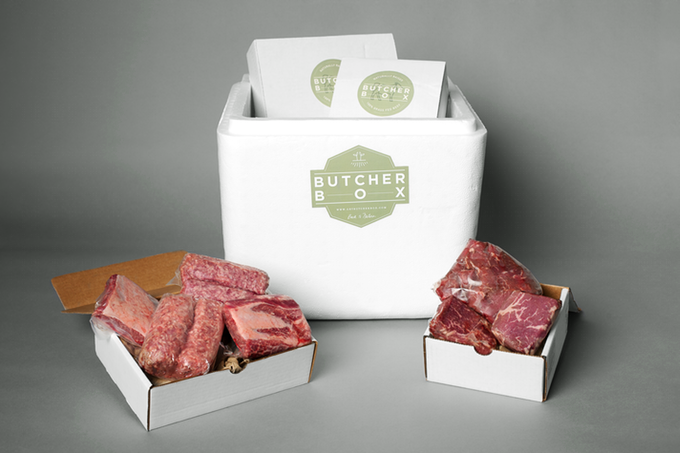 Buy It: Butcher Box runs $129 per month with free shipping. You can cancel or delay at any time.